I've been conducting an interview with Lou Anders over the past couple of weeks and in our chat he revealed that his superhero prose anthology With Great Power... would be retitled. 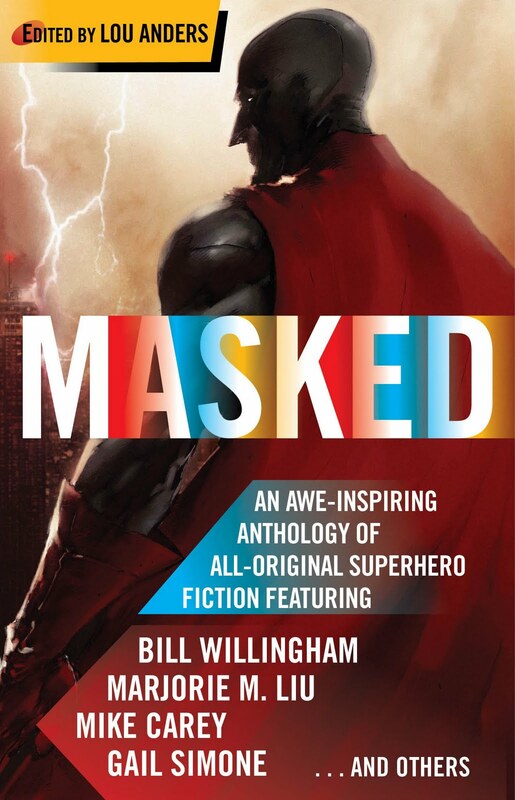 The title and revised cover have just been release and the anthology is hence forth known as Masked. The release date is still July 20th so don't have any fear of it being late because of the change. I'm about a third of the way through Lou's other forthcoming anthology Swords & Dark Magic which is co-edited with Jonathan Strahan. 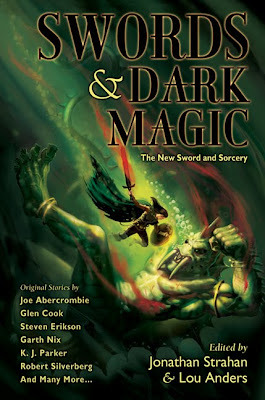 So far it is living up to the editors goal of creating a definitive view on Swords & Sorcery. I found the James Enge story The Singing Spear, starring his Morlock, quite a fun read and was surprised how much I liked the Steve Erickson story Goats of Glory, despite its slow and somewhat stale beginnings. He certainly turned the volume way up the last few pages. Now Masked is an anthology I'd love to read! Thanks for the update. With Great Power was a bit more evocative to me, but I'll still pick it up. I love the artwork. I have both of these on my wish list. I am looking forward to them both. I am curious about what the stories are about though. Thanks for posting about them.